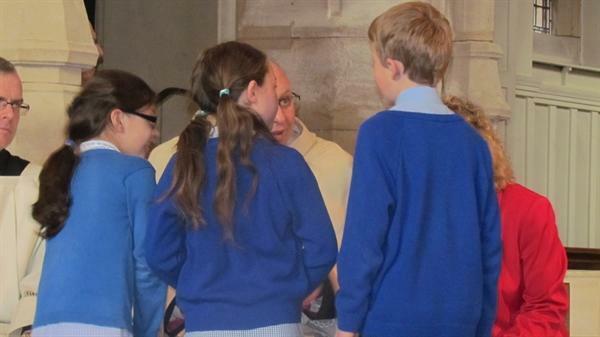 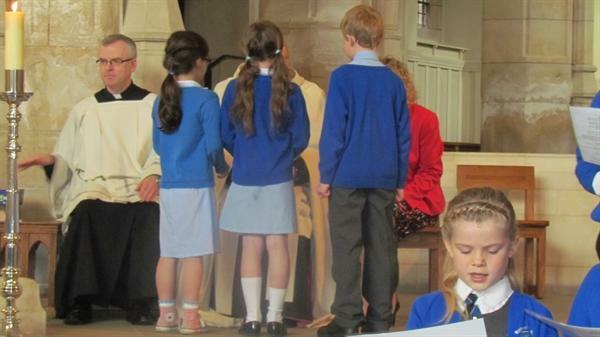 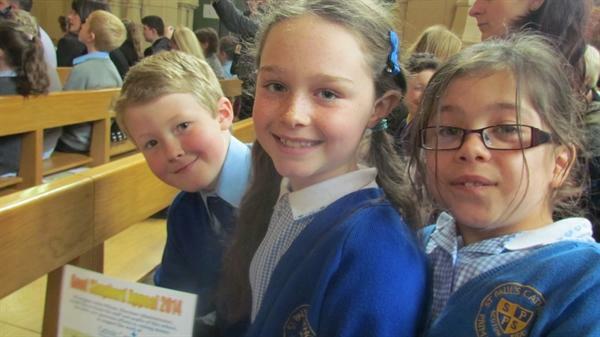 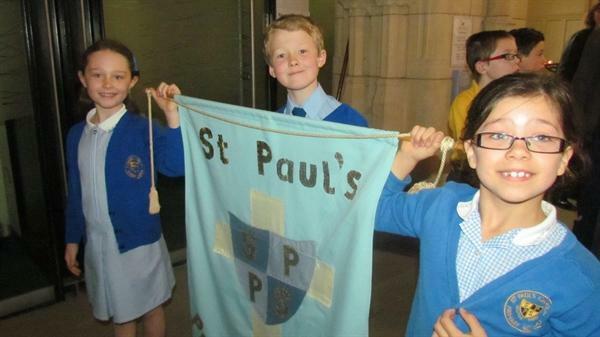 Grace, Joshua and Niamh (Year 3) accompanied Mrs Cabry to Leeds Cathedral where Monsignor John Wilson, Diocesan Administrator, thanked the staff and pupils of the Catholic schools in our Diocese who have generously raised money for the Good Shepherd Appeal 2014. 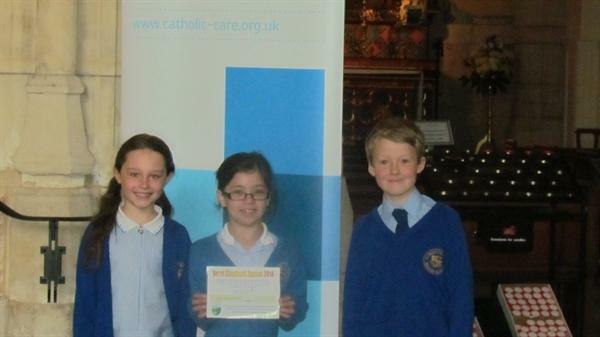 This money supports the work of Catholic Care in the Diocese of Leeds. 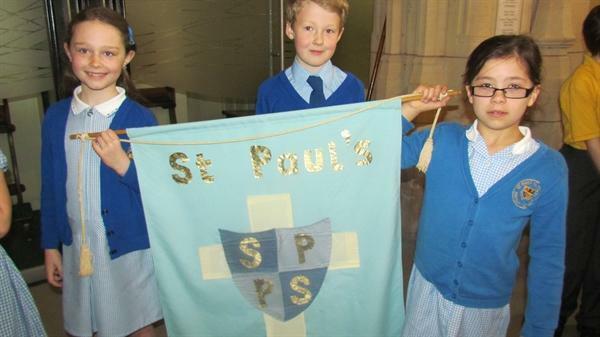 St Paul's presented Monsignor Wilson with a cheque for £650.